Dr. Jeremy Kepner is Head and Founder of the MIT Lincoln Laboratory Supercomputing Center (LLSC). Lincoln Laboratory is a 4000-person National Laboratory whose mission is to create defensive technologies to protect our Nation and the freedoms enshrined in the Constitution of the United States. Dr. Kepner is one of five Lincoln Laboratory Fellows, a position that "recognizes the Laboratory's strongest technical talent for outstanding contributions to Laboratory programs over many years." Dr. Kepner is focused on creating state-of-the-art computing capabilities to enable scientific and engineering breakthroughs to solve the Nation's most challenging problems. He received his PhD in Astrophysics from Princetion University in 1998 (advisor: Prof. David Spergel) and his BA in Astrophysics from Pomona College in 1991. Research: Dr. Kepner's research is described in hundreds of peer-reviewed papers covering abstract algebra, astrophysics, big data, computer architecture, cloud computing, cyber security, data mining, databases, graph algorithms, health sciences, image processing, machine learning, matrix theory, neural networks, parallel programming, plasma physics, signal processing, software standards, supercomputing, and visualization. These publications have received numerous best paper awards and Dr. Kepner received an R&D 100 Award for his research on parallel embedded computing. As a result of his research, the LLSC team holds many records in database performance. In 2013, Dr. Kepner received the MIT Lincoln Laboratory Technical Excellence Award, Lincoln's highest honor "for his leadership and vision in bringing supercomputing to Lincoln Laboratory, his pivotal role in open systems for embedded computing, his creativity in developing a novel database management language and schema, and his contributions to the field of graph analytics." 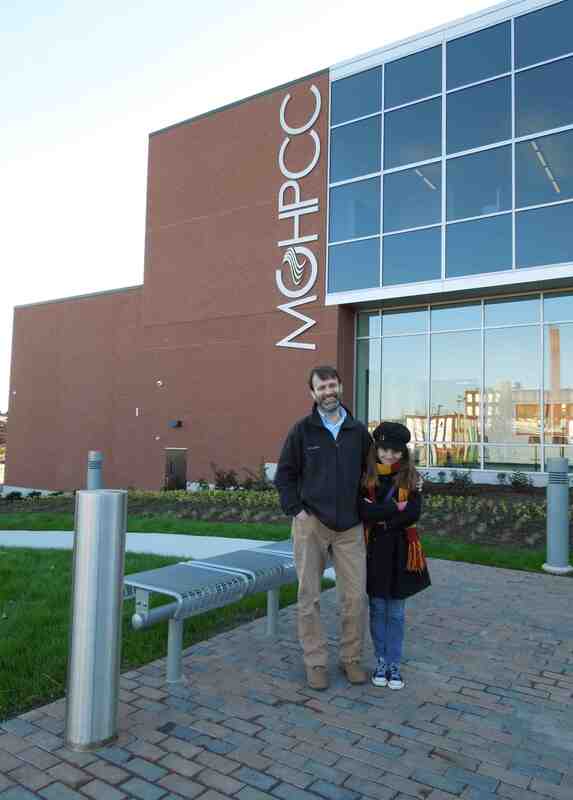 Impact: Dr. Kepner co-invented the Massachusetts Green High Performance Supercomputing Center (MGHPCC), the largest and "greenest" open research data center in the world that has enabled a dramatic increase in MIT's computing capabilities while reducing its CO2 footprint. The LLSC's pioneering interactive supercomputing capability and unique MIT SuperCloud system accelerates the award-winning innovations of thousands of MIT researchers. Under Dr. Kepner's leadership, the LLSC team has been recognized for its outstanding contributions to numerous R&D 100 Award-winning technologies that have improved airline safety, prevented the spread of new diseases, and aided numerous hurricane and earthquake victims. Dr. Kepner is the founding sponsor of the Wilkinson Prize-winning Julia programming language used by millions of programmers world-wide. He authored the GraphBLAS standard mathematical specification and was the founding sponsor of the development of its Sigma Xi Award-winning SuiteSparse implementation. 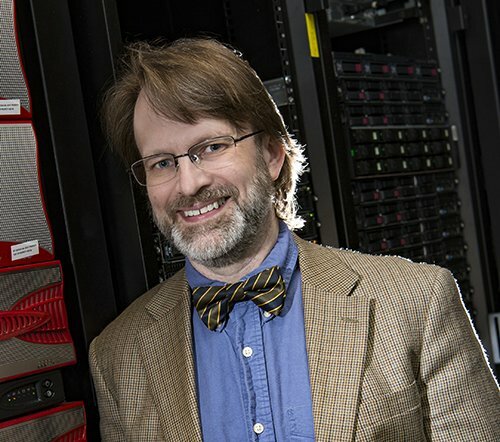 Dr. Kepner is a founding Co-Chair of the HPC Challenge benchmark suite used in acceptance testing of most of the world's largest supercomputers, and leads the Graph Challenge benchmark used in current Exascale procurements. Education & Outreach: Dr. Kepner is committed to expanding the understanding and application of supercomputing, big data, and machine learning. His commitment to undergraduate research is exemplified in over 30 papers he has co-authored with undergraduates at MIT and other Universities. Eight of his undergraduate co-authors have recieved NSF Fellowships to pursue their PhDs. 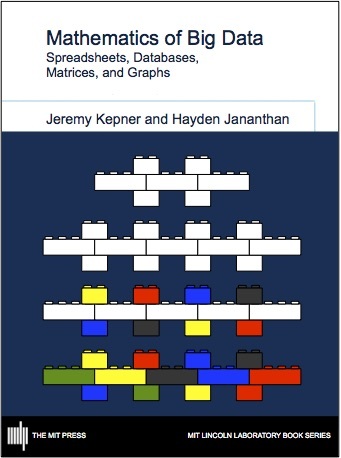 His writing includes three best-selling books on Parallel Matlab (SIAM Press, 2009), Graph Algorithms (SIAM Press, 2011), and the Mathematics of Big Data (MIT Press, 2018) -- the only MIT Press book ever co-authored by an undergraduate. He leads annual week-long courses in special topics for National decision makers in the areas of advanced databases, privacy preserving technologies, machine learning, and modern algorithms. Dr. Kepner's Signal Processing on Databases MIT OpenCourseWare class has been viewed over 100,000 times. He is the founder and Chair of the IEEE High Performance Extreme Computing (HPEC) conference that has grown into the largest computing conference in New England. [2017 MIT Lincoln Laboratory Team Award] Dr. Kepner's team received Lincoln's highest group award for "deployment of a petascale system." [2013 MIT Lincoln Laboratory Technical Excellence Award] - Dr. Kepner received Lincoln's highest honor "for his leadership and vision in bringing supercomputing to Lincoln Laboratory; his pivotal role in open systems for embedded computing; his creativity in developing a novel database management language and schema; and his contributions to the field of graph analytics." [2013 MIT Lincoln Laboratory Team Award] Dr. Kepner's team received Lincoln's highest group award for "creating a new green supercomputing facility in Holyoke, Massachusetts." [2013 R&D 100 Award] Structured Knowledge Space (SKS) NoSQL schema was created by Dr. Kepner and the development was made possible by the LLSC database management system. [2011 R&D 100 Award] Parallel Vector Tile Optimizing Library (PVTOL) was architected by Dr. Kepner. [2007 MIT Lincoln Laboratory Team Award] Dr. Kepner's team received Lincoln's highest group award for "creating the LLGrid TX-2500 interactive supercomputing system." [1993 DOE Computational Science Graduate Fellow] to pursue computational research at Princeton University. [2019 Wilkinson Prize] Dr. Kepner is the Founding Sponsor of the Wilkinson Prize winning Julia programming language used by millions of programmers. The J. H. Wilkinson Prize for Numerical Software is awarded every four years to honor "outstanding contributions in the field of numerical software." [2017 R&D 100 Award] PRESymptomatic AGent Exposure Detection (PRESAGED) algorithms were developed by LLSC team member Lauren Milechin. [2017 R&D 100 Finalist] BigDAWG Polystore System was created by LLSC team member Dr. Vijay Gadepally. [2017 AFCEA 40 under 40 Award] received by LLSC team member Dr. Vijay Gadepally. [2016 R&D 100 Award] Airborne Collision Avoidance System for Unmanned Aircraft (ACAS Xu) was made possible by years of simulations using parallel Matlab (developed by Dr. Kepner) running on thousands of LLSC processors. [2016 Excellence Award for Sustaining MIT] received by LLSC team member Matt Hubbell for leading "the development of the pioneering Lincoln Holyoke Supercomputing site since 2011." [2016 Lincoln Laboratory Early Career Technical Achievement Award] received by LLSC team member Dr. Vijay Gadepally for "creativity in advancing high-performance computing at Lincoln Laboratory". [2011 R&D 100 Award] Airborne Ladar Imaging Research Testbed (ALIRT) portable ground station cluster was designed by LLSC team member Dr. Albert Reuther. [2007 TeraSort Champion] Sorting benchmark world record was set by Dr. Bradley Kuszmaul using the TX-2500 interactive supercomputer developed by Dr. Kepner's team. 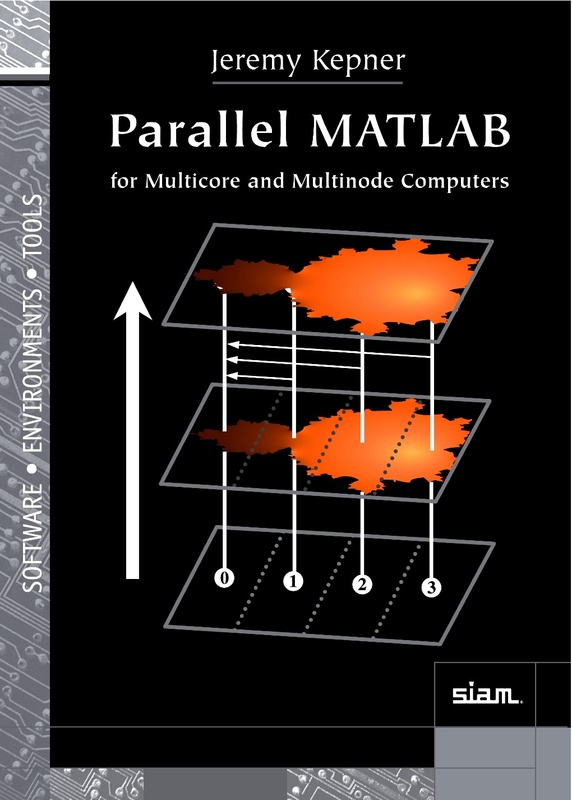 Parallel Matlab for Multicore and Multinode Computers J. Kepner, SIAM Press, 2009. 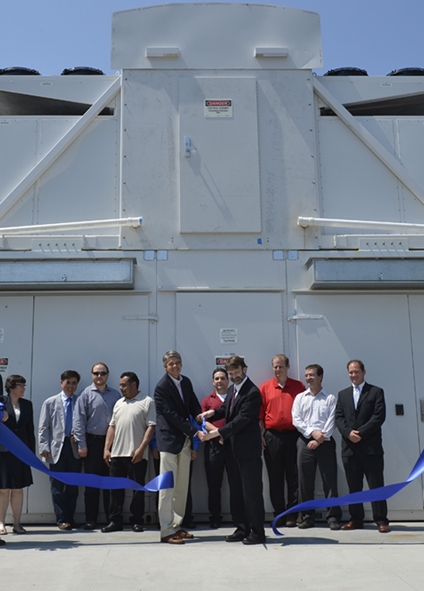 MIT Lincoln Laboratory TX-2500 achieves 0.5 Petabytes using pMatlabXVM, J. Kepner, press release, September, 2008. Lincoln Lab Releases PVTOL Multicore Software Architecture, J. Kepner, Press Release, HPC Wire, June 29, 2007 Vol. 16, No. 26. 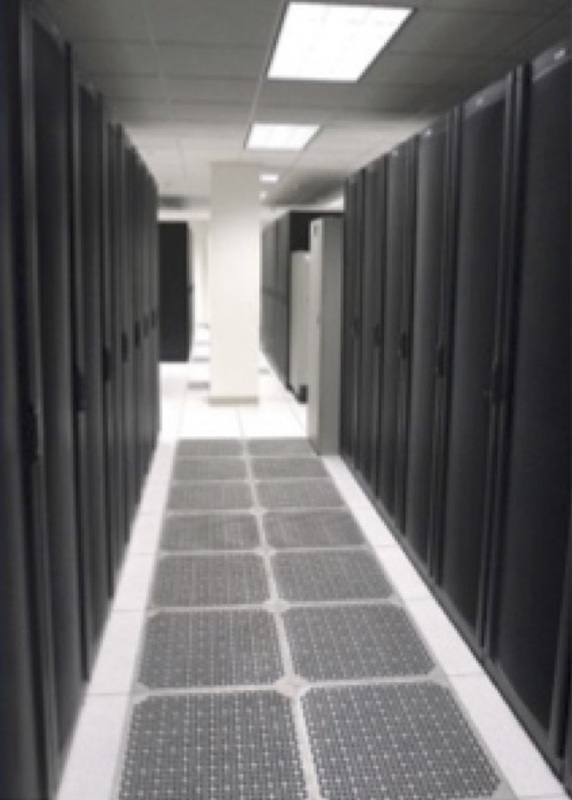 MIT Lincoln Laboratory Activates LLGrid, J. Kepner, Press Release, HPC Wire, June 15, 2007 Vol. 16, No. 24. Software Technologies for High-Performance Parallel Signal Processing, and J. Lebak, Lincoln Laboratory Journal, Volume 15, Number 1, March, 2004. 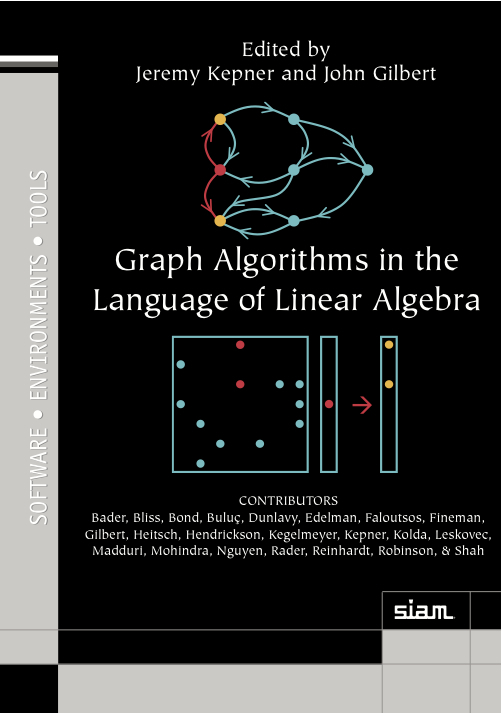 Graph Algorithms in the Language of Linear Algebra J. Kepner & J. Gilbert, SIAM Press, 2011. The Alignment Effect of Brightest Cluster Galaxies in the SDSS, with R. Kim et al, in "Where's the Matter? Tracing Dark and Bright Matter with the New Generation of Large Scale Surveys", June 2001, Treyer & Tresse Eds, Frontier Group. Simulating Galaxy Formation, with Greg Bryan, 19th Texas Symposium on Relativistic Astrophysics and Cosmology, held in Paris, France, Dec. 14-18, 1998. Eds. : J. Paul, T. Montmerle, and E. Aubourg (CEA Saclay). Massively Parallel Computing of Turbulent Transport in Tokamaks, J. Kepner, S. Parker & V. Decyk, presented at the International Conference on Parallel Computing, University of Minnesota Supercomputer Institute, October 3-4, 1996. Computation of IRAS Fluxes via a priori Astrometry, with Horowitz, J., & Geman, D. 1993 in "Infrared Astronomy with Arrays: The Next Generation," ed. Ian S. MacLean, Kluwer. Comparison of Canonical and Micro-Canonical Sampling Methods in a 2D Ising Model, J.Kepner (advisor: Alexandre Chorin) 1990, Lawrence Berkeley Lab report #LBL-30056.